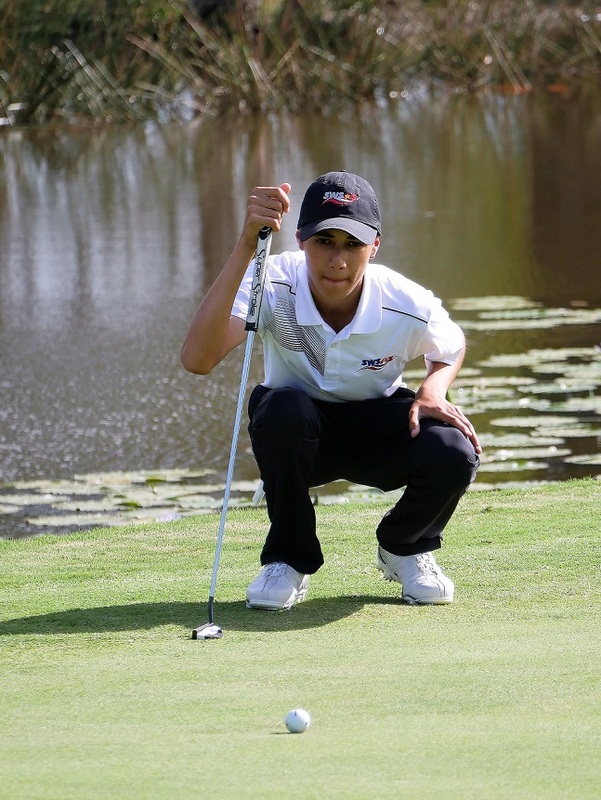 Golf continued its upward swing at the South West Sydney Academy of Sport when the best of our region’s local junior golfers ventured to Goulburn to compete in the Brett Ogle Junior Masters Tournament. A capacity field of 128 of the State’s best junior golfers came together to take on the par 71 championship course and – unfortunately – also up to 50km winds. The weather didn’t deter the juniors from playing some exceptional golf shots and finishing with some great overall score card performances. One of the best of many great personal performances came from “academy gun’ Brandon Vella. Vella, who started from the 7th hole in the shotgun start to the tournament, displayed great determination and poise under pressure to finish an excellent 13th overall. 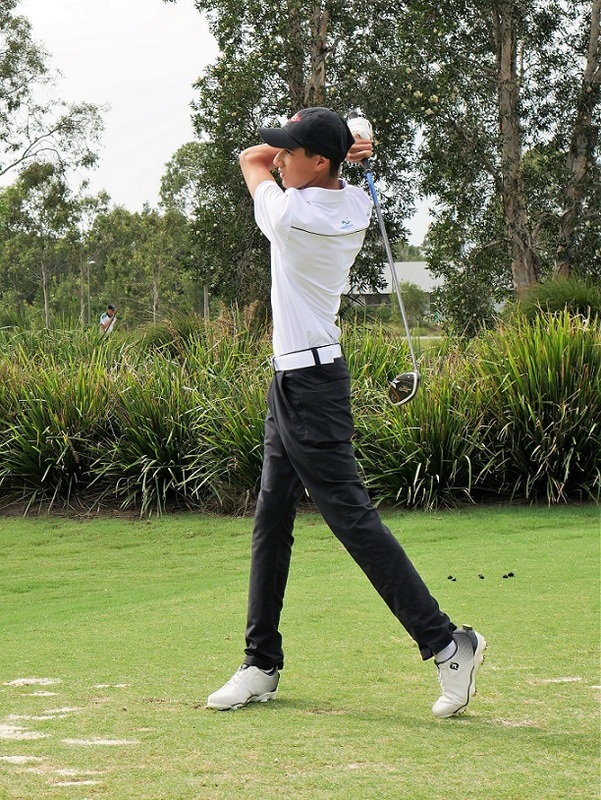 Just another sweet hit from left handed South West Sydney Academy of Sport golf squad member Brandon Vella at the recent Brett Ogle Junior Masters Tournament. The young Harrington Park talent took out the nett division, for the 16 years and over section. Along the way he beat the course average by an amazing seven shots over the two-day weekend and was very proud of his effort considering the windy conditions. As always Vella was very humble when it came to talk about his own performance and preferred to concentrate on talking about how well the whole South West Sydney Academy of Sport squad played and the weather conditions – and how the squad supports each other and always represents the academy with pride. Vella confessed he was overwhelmed with his own weekend performance and hoped to continue to develop his skills and produce the results that he is personally happy with. The academy golf program is supported by their naming rights partner, Campbelltown Catholic Club, and operates out of its Campbelltown Golf Club, under the stewardship of golf professional Scott Martyn. The program also has the added bonus of also being supported by the Jack Newton Junior Golf Foundation.